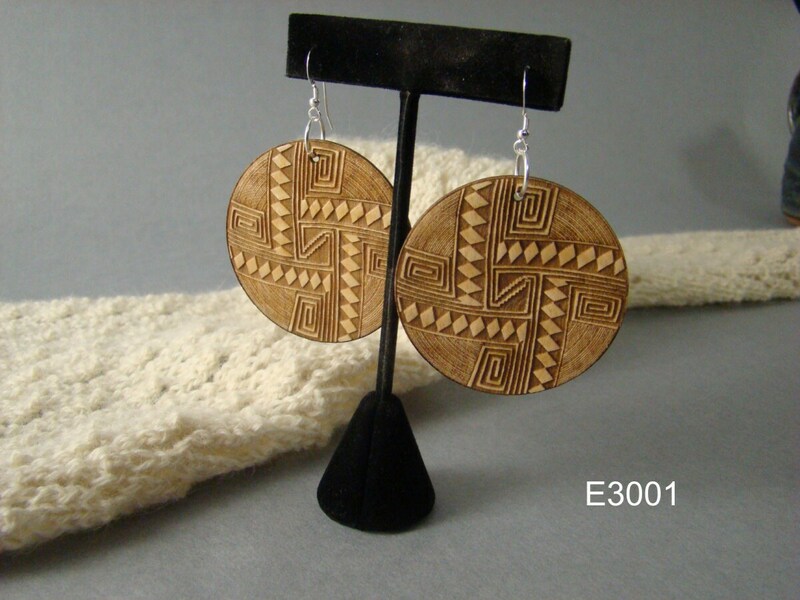 My maple earrings are 2" in diameter and come with sterling silver findings. They are very lightweight and sure to catch attention. Because they are wood, each set will vary slightly in finish with occasional inclusions. Do you have a special design you would like to have made into earrings or a pendent? Drop us a line and send us the art and we will be happy to work with you.